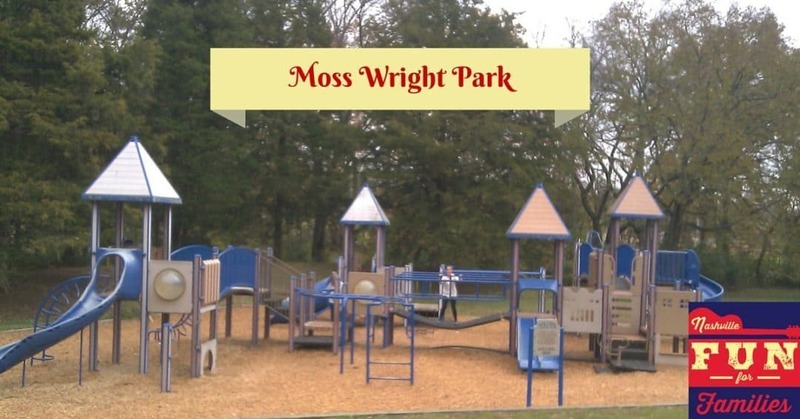 Moss Wright Park is a great place for all kinds of outdoor family fun. The park is over 140 acres located in Goodlettsville, TN. As you enter the park, one of the first things you will see is Mansker’s Station. This is a frontier fort that dates back to 1779. It is available for tours at different times during the year. Make sure you check their website before planning a visit. Even without an official tour, you will still be able to get a great view of the fort from the outside. Behind Mansker’s Station you will find a parking area, baseball fields, a walking trail and a unique outdoor exercise area. The trail is two miles long and has some very specific things you CAN’T do on it. Apparently anything with wheels is not allowed on this trail. That includes strollers so keep that in mind when planning a visit. The trail is really nice so try to take advantage of it if you can. The opposite side of Moss Wright Park is custom made for fun! Here you will find a lighted sand volleyball court and a huge playground.There are three playscapes in the playground. If you have older kids, you will be able to keep an eye on them in any of the three areas from the covered pavilions with picnic tables or one of the adult sized swings located here. It is a large area but it is set up in a way that makes it easy to monitor kids in different areas at the same time. Lots of new equipment has been added over the years but the big red slide in the picture below has been in Moss Wright Park for at least three decades. (I know because I used to slide on it in the 1970’s) 🙂 Don’t worry. It’s well maintained and in great shape but it is metal so beware of this slide on a hot summer day! This area also features a large grassy open space. There are lots of trees and picnic tables (both covered and uncovered). This is a great place to bring the kids for a quick meal followed by lots of running and playtime. You can relax and your kids will be exhausted by the time you leave. On the back side of this area, there are more picnic shelters, football and soccer fields and a bathroom facility. The bathroom is pretty clean for a public park and it is within easy walking distance of the playground. Moss Wright Park is also home to Fenway’s Dog Park so be sure to check that out if your family includes some furry, four legged members.